Following dozens of car break-ins, residents of Cayce’s Avenues neighborhood are taking steps to protect themselves. While homeowners say it’s still safe, they’re now keeping porch lights on and locking car doors on advice from police. If you see a porch light on in the Avenues these days, it might not be to welcome you in but to scare away thieves. Cayce police distributed this flier to warn Avenues residents about a rash of vehicle break-ins this summer with tips to help keep cars more protected. Part of the concern comes from a rash of car break-ins in the Avenues this summer, more than 30 between March and July, Cayce police Lt. Brian Lorick said. At one point, police were distributing fliers warning people and giving them tips on how to avoid becoming victims. No one has been arrested in any of the cases. 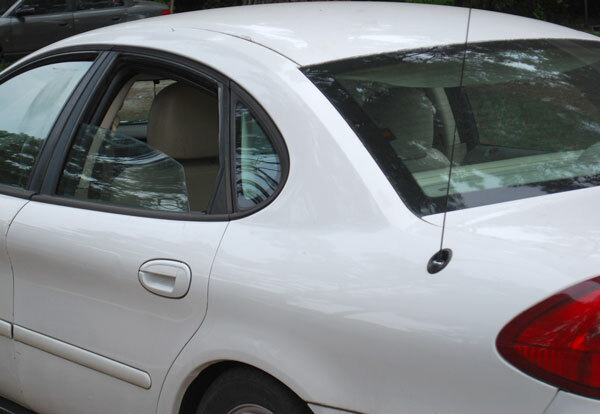 Lorick estimated that as many as nine out of 10 break-ins in the Cayce Avenues are unlocked vehicles. “Residents leave a pocketbook or money in plain view, and their windows are smashed out,” he said. Mary Sharpe, 75, has lived in the Avenues her entire life. Earlier this year, her grandson’s truck was broken into in front of his Avenues home and her daughter was the victim of a home break-in on K Avenue. Home break-ins, according to Lorick, are not so common in the Avenues. They typically occur during the day when burglars know people will be away, he said. Mary Sharpe, who attends the Avenues neighborhood association’s meetings, says she’s never felt unsafe though her daughter and grandson, who live nearby, have been victims of break-ins. Sharpe lives alone but says that with her children and grandchildren nearby and her neighbors she’s never felt unsafe. She praised Cayce police for their response to the thefts suffered by her daughter and grandson. Nationwide, the FBI says thefts from vehicles made up about a quarter of all larcenies in 2013 and 2014, the latest years for which it has statistics. One of the Avenues’ victims was Haley Clamp, whose car was broken into in mid August as it sat in her driveway, just three months after she moved into the neighborhood. Whoever it was took advantage of her broken door handle to get $8, she said. Learn how to keep your car safe with these tips from Cayce police Sgt. Evan Antley. Farm Bureau Insurance lists five easy steps to help keep your car safe from break-ins. The Cayce Avenues Neighborhood Association also has a blog, which is used to keep residents up to date on neighborhood issues. During the summer, car break-ins was one of the topics. Clamp says she often sits on the porch of her Poplar Street home with her boyfriend, late at night with the porch light off, and sees people she describes as “sketchy.” When they aren’t on their porch, they leave the light on to deter thieves. Eades says she leaves her porch light on constantly and with new efficient bulbs doesn’t worry about the power bill. But she says a lot of people turn theirs off early in the evening, leaving the neighborhood dark and more open to crime. The association’s Facebook page lit up this summer with discussions about the break-ins. On the page, Hilary Martin, who could not be reached for further comment, said her and her boyfriend’s cars were broken into twice on Holland Avenue and that it was a reason she moved out of the neighborhood. But Clamp says she’s staying put. She credits Avenues residents with looking out for one another and Eades with keeping people informed so the neighborhood is largely safe.